Today begins 2015 PiBoIdMo. Eh? Today is the first day of PiBoIdMo, 2015. If you’re a picture book writer you probably already know what that stands for: Picture Book Idea Month. Think of a new idea for a picture book every day for thirty days–it’s that easy. This is Tara Lazar’s brain child for people who don’t use the month of November to write a novel in. Or you can do both. This is my first year to join in the challenge. I have started my list–but I ‘m not telling. Maybe some of my ideas will materalize into books. 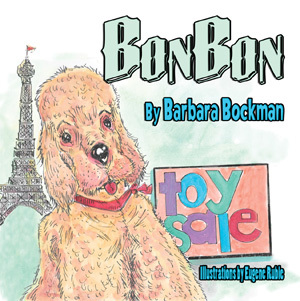 BonBon is a plush toy French Poodle dog. She lives, for the time being, at the Twice-Loved Toy Shop in Paris, France. She longs for a nice child to take her to a loving home. While she practices being patient, she and the other toys look out the window and see the Eiffel Tower. They talk about other beautiful and famous places in Paris. But, oh, no! BonBon is hidden by another toy, a large bear. Will BonBon ever be seen by tourists walking up and down the Champs Elysees Boulevard? A series of fortunate events is about to happen. Eugene Ruble used photographs of the real BonBon to share the pup’s story with readers. 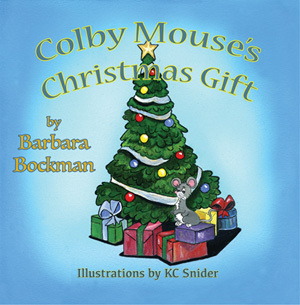 Colby Mouse thinks of a way to take part in the Christmas festivities in the people house where he lives. The little girl, Becky, realizes that the gift left on Santa’s plate is from the clever little mouse. Tabitha is on the search for 100 pecans. Help her count by 5s to reach her goal and have her favorite treats. Recipes and Pecan info included. Light up your 4th of July with this simple easy-to-perform patriotic children’s musical. A talking butterfly and a boy embark on an adventure in the desert. They encounter a talking camel, a wily salesman, and a magical lamp.